In general, radiation safety is the pursuit of localizing, quantifying and limiting exposure to known sources of radiation. For example, in nuclear power plants, isotope manufacturing, or medical applications it is a given that workers will be exposed to radiation as part of their job. It is each institution's radiation safety officer's job to minimize their workers' exposure to radiation throughout the course of performing their jobs. This is most commonly done with a combination of dosimetry to monitor personnel exposure and survey meters or area monitors measuring the boundaries and strength of the radioactive area. However, a completely different mindset is required when radiological security becomes the primary concern. In this case, the motivation is detecting any unknown and potentially dangerous sources of radiation. These illicit sources may in fact be intentionally shielded or obscured to inhibit detection or mask a serious threat. The ultimate goal in radiation security is to intercept these sources and prevent them from passing into secure locations or into the vicinity of the public. Applications could vary from anything as commonplace as making sure sources at a smoke detector manufacturer don't accidentally leave the premises, or as vital as protecting a border from individuals trying to smuggle special nuclear material across. For these roles, more sensitive and specialized detectors are required. It is this radiological security mindset that guided the development of Mirion's SPIR product line. Versatile, intelligent, and highly sensitive, they utilize a combination of sensitive detector technology, sophisticated algorithms and software to provide a comprehensive suite of radiological detection and identification products. At the core of the SPIR product line are various types of scintillation detectors. These are important for radiological security because they are not only very sensitive, but also able to capture spectroscopic data from the detected sources. This enables equipment utilizing these detectors to identify the radioactive isotope, and categorize it based on the nature of the threat as medical isotopes (MED), naturally occurring radioactive material (NORM), or special nuclear material (SNM). Radiation from an outside source makes contact with the scintillator material in the detector. The scintillator material reacts with the radiation to create photons of light. The light is captured by the Photo Multiplier Tube (PMT) which magnifies and reflects the light into a measurable quantity to achieve a readable "pulse." The "pulse" of detected radiation information is emitted electronically from the PMT to the detector unit, which relies on a measurement algorithm to determine the type and strength of the radiation measured. The SPIR-Ident monitors, available in both pedestrian or vehicle monitor varieties, are a series of stand-alone spectroscopic portal monitors. The pedestrian version is ideal for monitoring pedestrians, luggage, small articles, etc. The vehicle version is likewise useful for primary or secondary screening of vehicles and containers. The SPIR-Ident automatically sorts innocent alarms from actual alarms in real-time, without compromising the detection performances in identifying Special Nuclear Material, Radiation Dispersal Devices, or unexpected radioactive source detection. 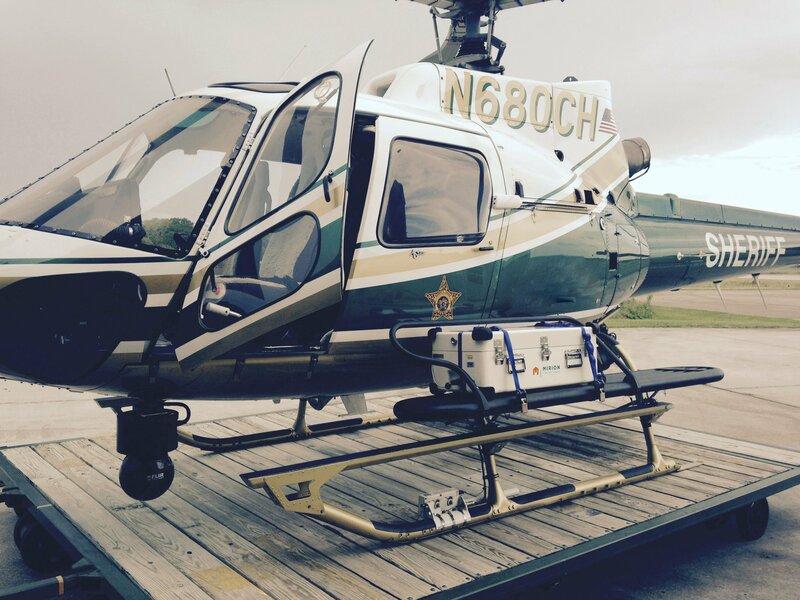 The SPIR-Ident Mobile system is a movable radiation monitoring system, developed for vehicle, aircraft, and marine craft use. It is a ruggedized deployable system with the capability for both detection and identification of radioactive and nuclear sources. 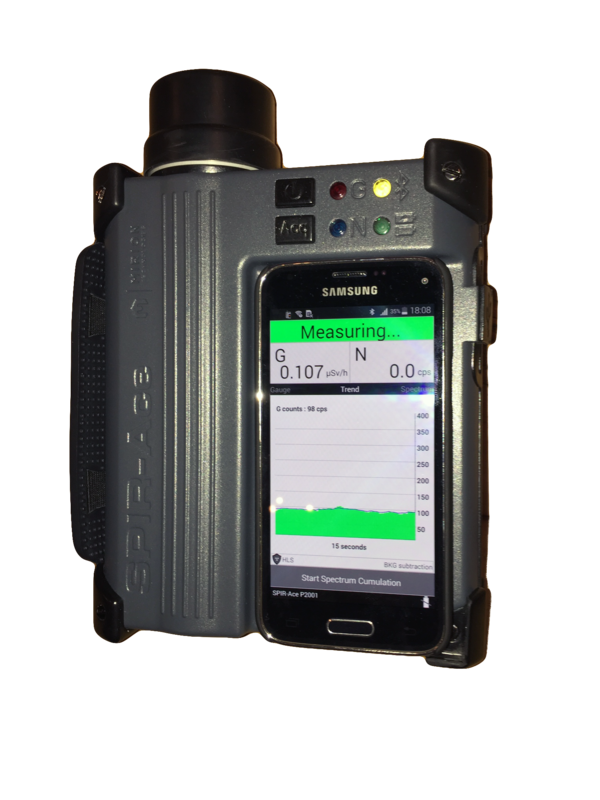 It also ties in with the SPIR View software suite allowing for real-time remote viewing and mapping of radiation measurements and readings. The SpiR-ID is a rugged advanced radio-isotope identification device (RIID) designed to efficiently search for nuclear and radioactive materials. The SpiR-ID quickly and reliably identifies and categorizes radionuclides for demanding scenarios such as heavily shielded or masked radioactive and nuclear threats. It is also available in a lighter weight LT version. SPIR-Ace is a versatile radio-isotope identification device (RIID), taking advantage of SPIR family capabilities in a small and easy to use instrument. It addresses all applications requiring efficient detection and identification of radiological threats in security applications, including civil defense, border & customs. It also provides accurate assessments of nuclear materials for nuclear power plants, safeguarding labs, and more. The SPIR-Pack is a Backpack Radiation Detector (BRD) system intended for discreet detection and identification of radioactive and nuclear materials. The SPIR-Pack is intuitively designed for simple, yet effective source search and area mapping. It is especially useful for radiation screening in crowded areas without alerting any passersby of a heightened security presence. Radiological security is a concern for a variety of situations and scenarios. Below are a few major examples and details on how different products can be utilized. 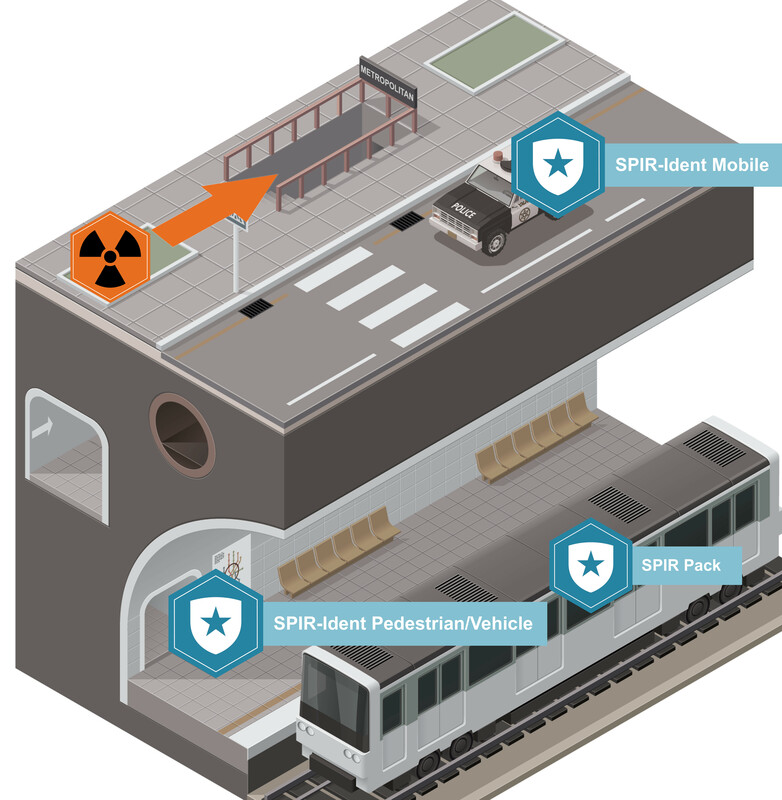 From a radiological security perspective, transportation hubs represent an extremely difficult scenario. When searching for an illicit source of radiation, large crowds, dense infrastructure and the need for low profile surveillance can lead to unreliable capabilities and high probabilities for error. 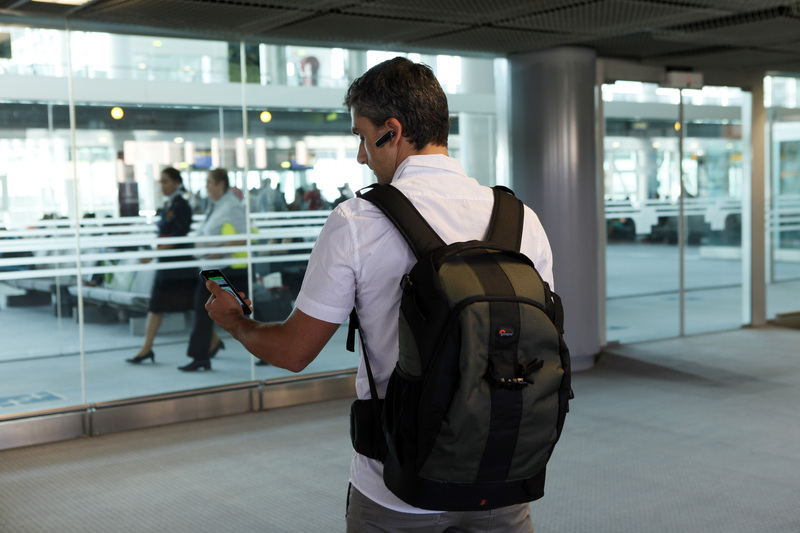 Mirion’s radiation surveillance products provide agents and officers the instruments they need to covertly monitor pedestrians, baggage, and cargo for illicit sources of radiation, while keeping a low profile. These instruments are highly sensitive, with large detectors and the capability to discreetly notify the user of any elevated measurements, as well as networking capability for centralized monitoring. On-board software provides mapping and replay functions. A likely radiation security layout at a ferry port, with fixed portal monitors at the main entry and exit lanes to screen vehicles and passengers, with a handheld SPIR-Ace in the main guard building, and an undercover agent with a SPIR-Pack on board the ferry. High volumes of both pedestrian and vehicle traffic can make border crossings one of the most vulnerable points of entry for sources of radioactive and nuclear materials. Speed and accuracy are critical, requiring both primary detection as well as secondary levels of screening once an initial alarm is detected. Border crossings require vehicle, truck, and pedestrian monitoring solutions that do not interfere with the smooth flow of traffic. These requirements make fast, highly sensitive detection systems with remote monitoring capabilities essential. 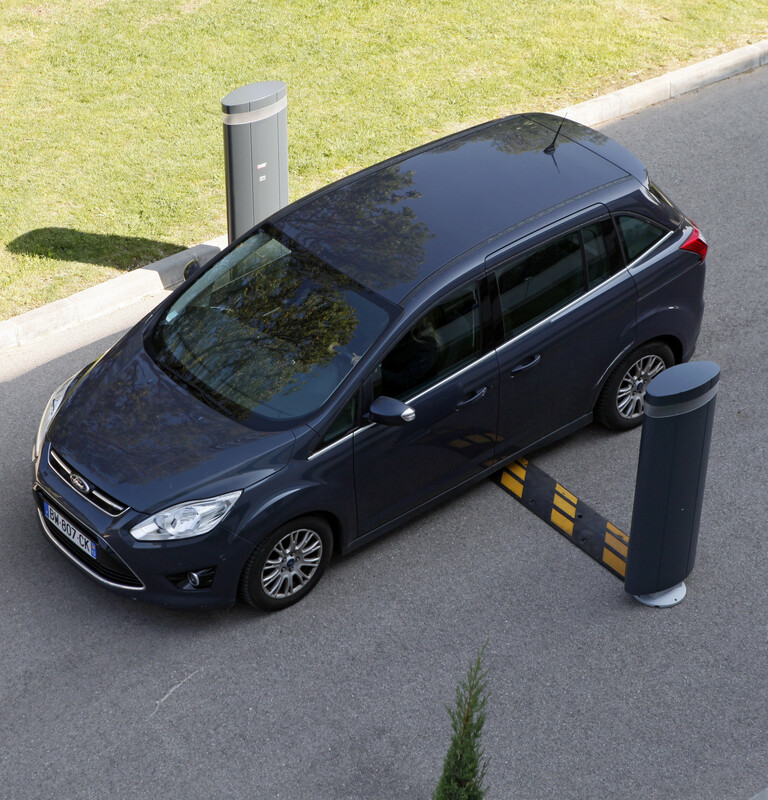 Mirion products are designed to allow for discreet monitoring of humans, cargo and vehicles while not impeding the flow of traffic through the border crossing. 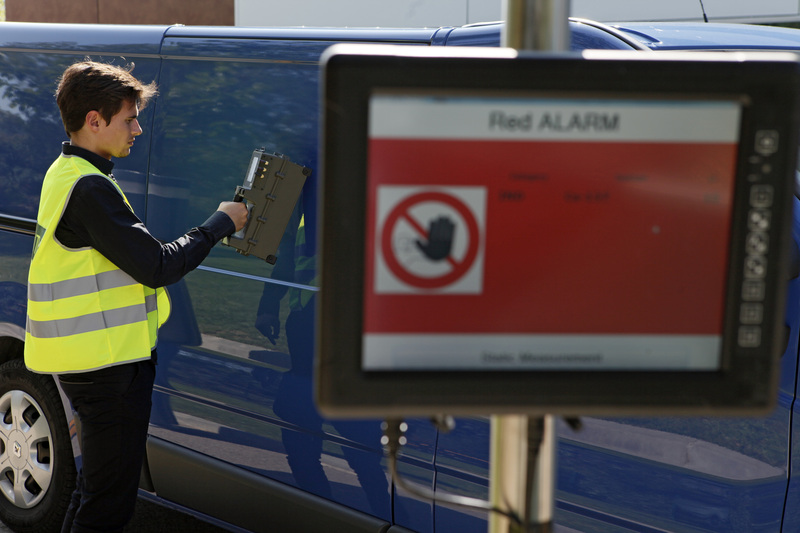 Once an alarm is triggered, the person or vehicle of interest can be processed through a secondary screening location for source localization and characterization. At a border crossing, the ideal layout would be a fixed SPIR-Ident Vehicle monitor at each lane, with intermittent sweeps by a SPIR-Ident Mobile as a secondary measure. Securing the critical infrastructure inside energy and industrial sites presents unique radiation security challenges. 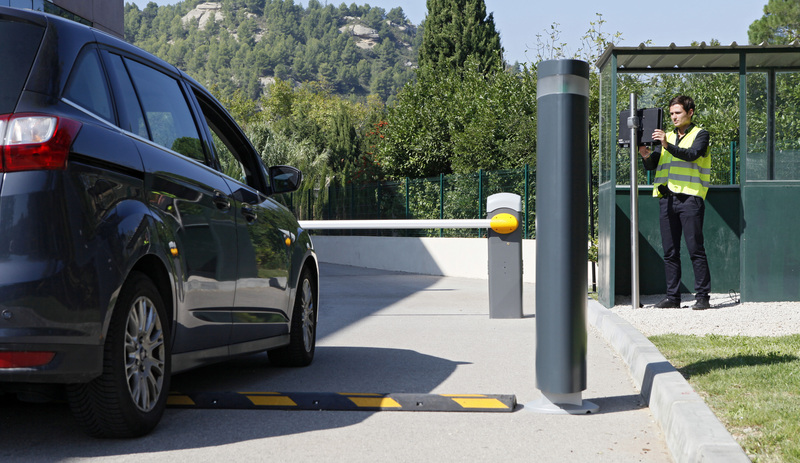 These facilities require a variety of measures to adequately monitor the entry and exit of personnel, vehicles and materials. In addition, perimeter monitoring requirements call for advanced, remote solutions that can operate independently for long periods of time, in varied weather conditions. Mirion products provide positive boundary and barrier control and measurement capabilities, as well as the sensitive detectors needed to screen and secure incoming materials, personnel and vehicles against trafficking radioactive materials. A SPIR Ident Vehicle forms the primary security measure at this oil refinery, with a handheld SpiR-ID for secondary checks and a combination of mobile units in a helicopter and personnel on foot with a SPIR-Ace as tertiary measures. Large public gatherings represent one of the most difficult challenges in radiological surveillance. 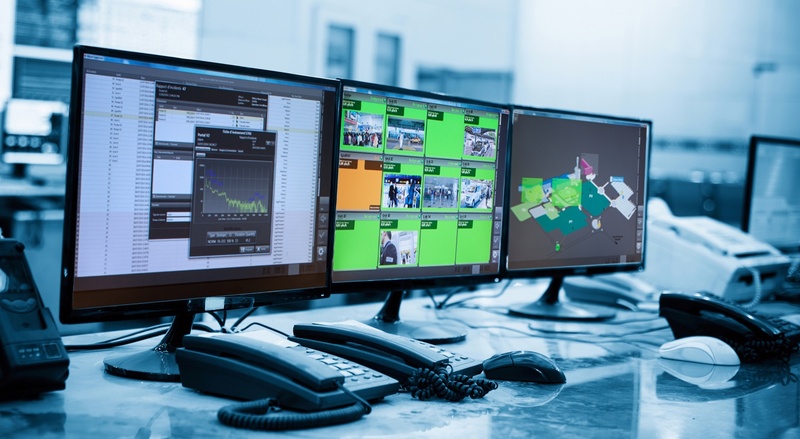 When considering an event the scale of the Olympics, or a system with as many pieces as a public transit system, many of the difficulties present in other applications combine to form a complex, multilayered problem for security personnel. These scenarios require the capability to handle high volumes of foot traffic, vehicles, cargo, access points, and large physical spaces. Mirion products tackle this challenge with specialized detection systems that address radiological security at all layers of the security infrastructure. This includes primary screening of foot traffic, vehicles and cargo, as well as passive monitoring with discreet perimeter and area monitors. Similar to other applications, when a primary screening alarm is tripped, security personnel can move the individual, vehicle or suspected cargo to a secondary screening area for source localization and characterization. A Subway station's primary radiation security measure would be a fixed pedestrian SPIR Ident system, with plainclothes officers carrying SPIR-Packs as a secondary screen, and random mobile sweeps with SPIR-Ident Mobile systems on the streets above as an additional security layer. The SPIR products are all highly sensitive spectroscopic devices for detecting radiation. However, a single unit can only provide a single data point, providing information about radiological threats in its specific vicinity only. In a radiological security exercise, it is important not only to protect a large area from radiological threats, but to relay information back to a central command area for analysis. This common platform enables the operators of the equipment to remain focused on their task, while the information they gather is processed and used by someone able to make informed command decisions. To facilitate this need, Mirion offers the SPIR View software package. SpirVIEW is a global supervision software for centralized monitoring of connected Mirion radiation detection and protection devices. It is capable of displaying real time radiological data with integrated image, video, mapping, reporting and reachback. This enables a central command post, receiving information from all deployed radiation security teams or stations, to develop an aggregate understanding of a situation, and make informed, effective decisions. An estimated 2.1 million people attended the first three days of the 2012 Olympics in London. 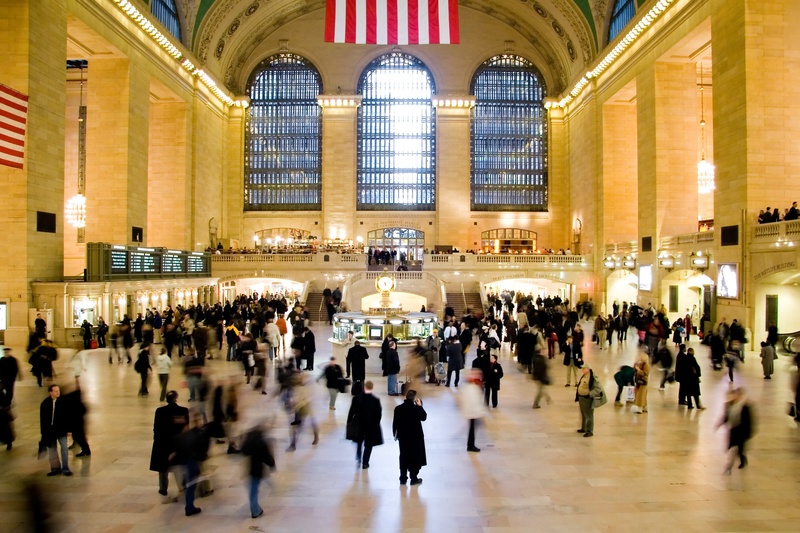 More than 4 million people ride the New York subway system every day. Roughly 16 million tons of cargo go through the Port of Hamburg in Germany annually. Radiological security is important because of the scale of both the problem and of the possible consequences. In tackling something of that scope, it is important to have equipment that is fast, accurate, and easily comprehended. Mirion has used its considerable expertise in the radiation detection industry to develop the cutting edge line of radiation safety products represented in the SPIR product line. They utlize the best type of detection and identification technology for the task, coupled with the right intelligent algorithms for processing data. These facts, combined with easy to use and understand software, make the SPIR product line up to the task of performing in the most challenging radiological security settings. SPIR, SPIR-Ident, SPIR-ID, SPIR-Ace, SPIR-Pack, and SPIR View are registered trademarks and/or trademarks of Mirion Technologies, Inc. and/or its affiliates in the United States and/or other countries.